I never thought Tim Tebow would be drafted in the first round. Pretty confident Murray is going top 10. Yah, if he's taken anywhere in the 1st round he essentially is gauranteed more money than his contract with the A's. If he does slip out of 1st round, wouldn't shock me to see him pursue baseball instead. A's have left the door open. Murray interview process is going to be interesting. Does he try and dictate who drafts him? Baseball os still there. Elway did the same thing coming out of Stanford. Eli threw a fit when the Chargers drafted him instead of the Giants. The problem now is that if Murray isn't a first round pick, then what? Are teams gonna avoid him for fear of him picking baseball instead? The farther down the draft Murray falls, the more likely it becomes that he's gonna run back to baseball. All of that, even a step further until he signs a clause in his rookie deal like Winston not to play baseball that is leverage. 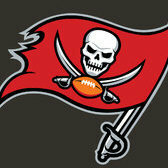 In Winston s case going 1 overall the Bucs had those questions already answered. The only team with that luxury now is the Cards. Every other team has to assume that he ll want to come to their team. He ll like the coaching staff and offensive scheme, which then he will agree to the baseball clause. Pretty strong leap of faith by the GM who drafts him. If we can afford to pull a Jaylon Smith and redshirt a 2nd round pick, sure. I only think that happens if we have 2 2nd round picks personally. It sounds like BA wants to turn things around quickly. I'd imagine that means Simmons is off our big board. If they sign him lomg term, they could cut him in 2 yrs without penalty. Might be worth it to save the 2 million since they are committed to keeping him. That's top 10 LT money. Tyron Smith makes $12M per, for perspective. All prices go up my friend. Cap goes up, average salary goes up. No doubt Tyron is more talented, but Donovan has been more durable by a wide margin. Long term health granted it is hard to predict, Donovan looks like the more durable option. Franchise him and make him prove he's a legit LT and ascending. If he shows that, we can approach him with an extension or franchise him again. Oh, I know. The top paid guys are never the best.